Hi Everyone, well here we are at week 14 of the Colour Creations Hop and the colour is "Crushed Curry" it's a very rich yellow colour, I not a person that uses a lot of yellow so I found this week a bit of a challenge for me. I used the very vanilla & copper ribbon from the Tea Room Ribbon combo pack because the ribbon is narrow I used 2 strips and the added a bow between them along with the "Share what you Love Artisan Pearls" I also added some pearls to the sentiment and some of the flowers. 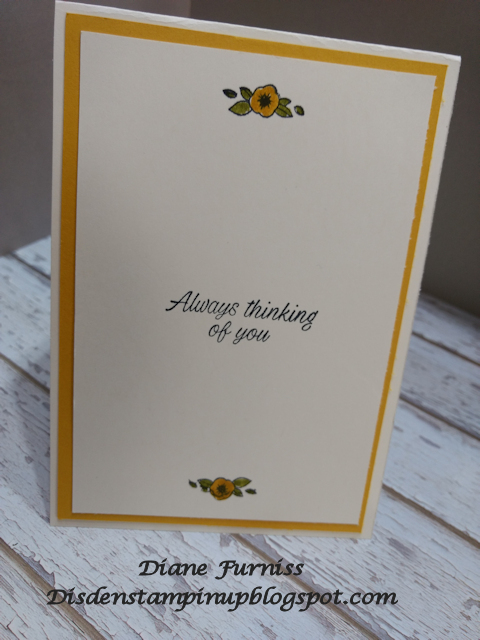 I layered my inserts in the same manner as the front of the card and stamped the small flower top and bottom before addinf my sentiment. 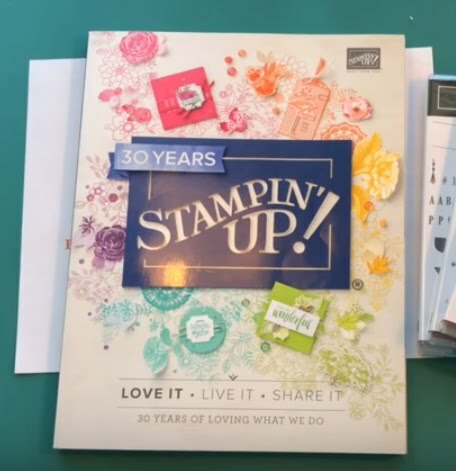 All items used for this project are in the current 2018-2019 Annual Catalogue, if you would like to purchase any or all of these items please give me a call all my details can be found on the blog. 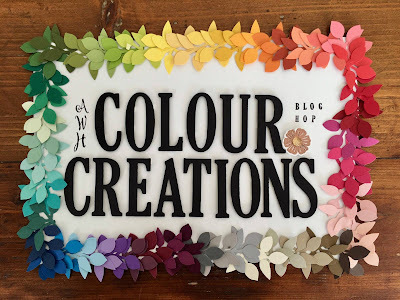 To see what everyone else as made for this week why not hop over to Catherine's Page and have a look. Diane your colourful card outs a smile on my face. Just lovely. Thank you for hopping along tonight! This week was a challenge for me too Sue! You have done a great job though, and your complimentary colours work well. Great job! Oops sorry - I meant Di! For some reason I thought I was on Sue's blog! 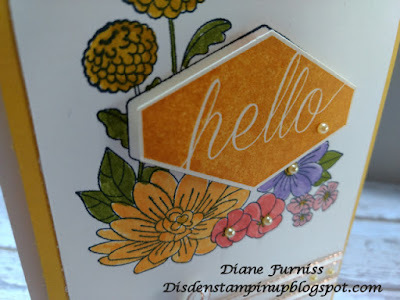 Such a lovely card Diane and beautiful colours too! Lovely card. I haven't used that one with the flowers in the background and I want to go get it out now! 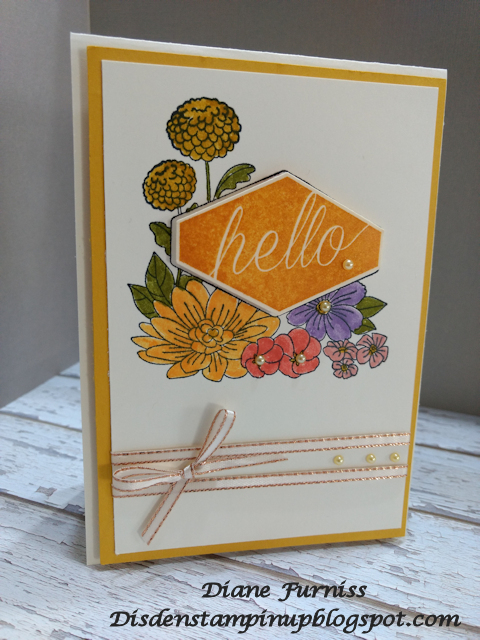 Lovely colouring and a really sweet card as we start the Spring season!